Just before Ottawa-based Nuvyyo launched its brand new Tablo product at the Consumer Electronics Show in 2014, Nuvyyo’s vice-president of marketing Renata Scorsone recalls beta-testing the over-the-air TV streaming device with broadcast content from the Sochi Winter Olympics. Tablo is a device that you plug into your TV antenna. It records your favourite shows to a DVR, much in the same way set-top boxes packed with cable subscriptions do. The difference, of course, is that over-the-air (OTA) content is free. Tablo allows you to stream your stored content to just about any device, including smartphones, tablets, and myriad set-top boxes connected to televisions such as Apple TV, Roku, ChromeCast, and Amazon Fire. Ditching pricey cable subscriptions is a trend being fueled by a variety of other options becoming available for receiving content. Thanks to Netflix and its competitors, along with the new set-top boxes, cable providers are no longer the sole provider of premium content for couch potatoes everywhere. According to eMarketker, in 2015 there were 4.9 million U.S. households that once paid for TV services but no longer do. Add to that the 12.5 per cent of U.S. adults who never subscribed to cable or satellite TV in the first place, and you get the sense this trend is growing. These are the people Googling for how to tune their antenna to get the most channels, or how to watch their favourite sitcom that Tablo is made for, says Laura Slater, marketing programs specialist at Nuvyyo. Tablo customers are “cobbling together systems and spending their time poking around to improve them,” she says. So Nuvyyo’s marketing strategy has included sophisticated customer support and loads of education content to support them. All of Tablo’s support team is based in Ottawa, Scorsone says, and the company has a guarantee that it will answer any support request – whether it comes in via email, phone, or social – within a maximum of 24 hours. Phone calls are answered 95 per cent of the time by the support team. Because its run in-house, when a support specialist is stymied by a problem, it’s possible for them to walk across the office and talk to a developer about it. Providing customer support is part of being seen as different from the “status quo” by Nuvyyo’s team. “We all know that cable and satellite companies have terrible customer service,” Slater says. Slater uses SproutSocial to stay on top of incoming social media support requests to the @tablosupport account. “Sprout is excellent because it gives you a single feed for all of the in-bound messages on all your social platforms as well as a keyword search tool as well, ” she says. Tablo’s site also has an extensive knowledge base to offer support, run on ZenDesk. But that’s just the start of how the Tablo team supports its customer base and the cable-cutting community at large. Right alongside her email and social media management dashboard, Slater keeps a browser tab on Reddit open all day long. Since her first day with Nuvyyo, she’s been building up her “Redittor” cred by participating in discussions on the /r/cordcutters sub-Reddit. 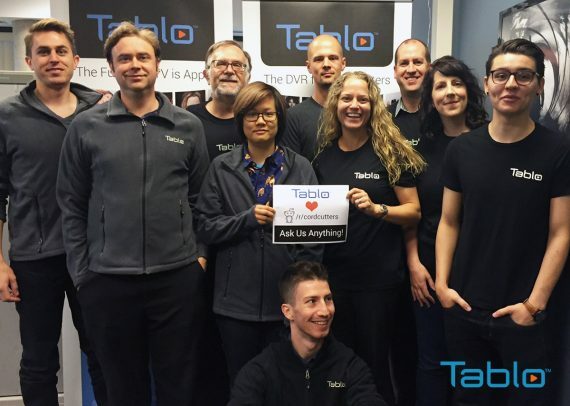 In July the fruits of that labour were realized when the Tablo team was invited to host its own “Ask Me Anything” (AMA) session on the thread, which attracted more than 200 different comments. After 16 days since the live chat, the thread has been upvoted 285 times and continues to live at the top of the sub-Reddit page. Nuvyyo’s Tablo TV team prepares to host a Reddit “Ask Me Anything” session. Slater says the AMA was just about as popular as an AMA hosted by Roku, which sells set-top TV boxes on a global scale. She points out that if not for her dedication to the sub-Reddit community, that never would have been possible. Corporations often see efforts to engage with the Reddit community mocked, or even posted on the dreaded “r/HailCorporate” sub-Reddit for a thorough lambasting. It was threads like this one on Reddit, and elsewhere on social media that inspired the Tablo team to start its own discussion board. Tablo Community is run using Discourse, a free open source software for online conversations. Visit the page today and you’ll find dozens of recent threads, many with hundreds of responses from an active group of users. Beyond volunteers for the latest beta firmware or solving support issues, the form has become a compendium for cable-cutting DIY knowledge that ranks highly on Google search results pages. Cord cutters searching for help tuning their antenna or solving other challenges come across the forum and learn about Tablo’s product as a result. “Our fans aren’t only excited about the products, but they’re excited about the cable cutting movement,” Slater says. Tablo’s marketing team knows that content marketing goes beyond social media, and has a strong focus on public relations, Scorsone says. It has targeted U.S.-based journalists that write about the topic of cable-cutting and also offered by-lined content to publications. Tablo also hosts guest bloggers on its own website, and works with its partners to publish blogs elsewhere. Also on its own website are two tools that educate prospective customers about the benefits of switching from cable to OTA-based TV. 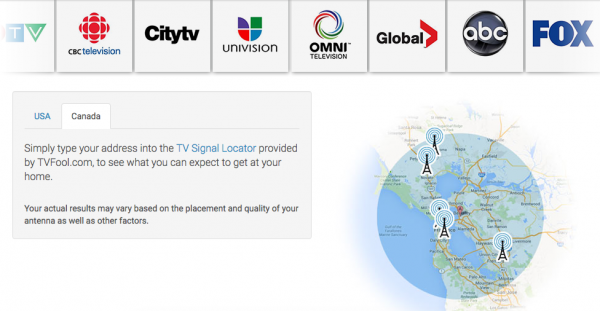 A “signal locator tool” estimates what TV shows you can record to your Tablo based on your location. A cord-cutter calculator tool asks for the amount of your last cable bill, then shows you how much money you’d save by canceling the service. It also shows you how soon you’d pay off your investment in Tablo. “We’ve done the math for you,” Scorsone says. This animated GIF on Tablet’s website helps drive home that canceling your cable service will save you money. So the next time the Olympics roll around, don’t be surprised if you find yourself tuning in without that cable subscription.